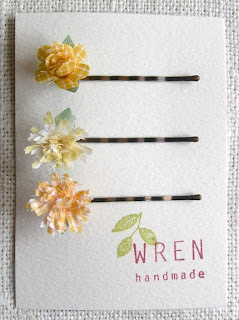 These first hair flowers are from WREN Handmade on Etsy. 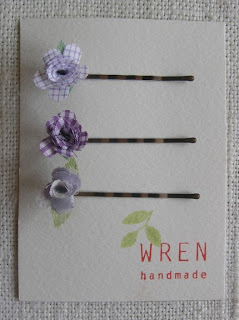 Her description says 2 inch flower bobby pins, but I think the 2 inch part refers to the bobby pin, not the flower. The flower seems to be about half an inch long. I love how small and dainty they are. I love that you get three of them because 3 is a good number. I love how the colors and prints compliment each other so well. Photos courtesy of WREN Handmade. 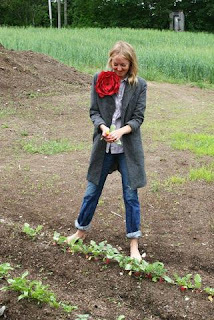 The next flowers are over-the-top awesome!! Large, simple, and statement-making, these flowers are the perfect accessory to take any outfit over the top. Check out Emersonmade for the full assortment, but here are some of my favorites. How about in a more formal setting? What do you think? I love how the simplicity of the flower co-exists with the formality of the dress and event. Ooo I love those flowers! 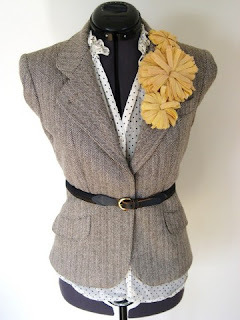 I personally go for something big (and you could totally pull them off too!) 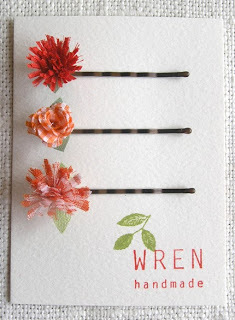 - my big hair would unintentional eat those beautifully delicate bobbypins.